Senior isolation is the condition a senior suffers from when he or she is isolated socially or geographically. In some cases, senior isolation arises from living in a rural, offset location where the senior does not have regular access to friends and family. This is not the only climate in which senior isolation thrives, though, and many seniors who live in bustling urban areas find themselves alone and isolated as they age. Senior isolation arises any time a senior is isolated from friend groups and family, and the causes of it are diverse. In some situations, a senior chooses to separate him or herself from friends and relatives because of depression or depressive symptoms. In many cases, seniors become isolated because their spouses have died and they have no children. It’s common for older adults to become isolated when they have no family that lives near, or when they stop participating in regular social activities. Regardless of the cause, senior isolation is a real danger that affects millions of seniors throughout the U.S. each year. According to a study published in the Proceedings of the National Academy of Sciences of the United States of America, seniors (ages 52 and older) who live alone are at increased risk for mortality and depression. To back this claim up, a UCSF study found that people (ages 60 years and older) who lived alone experienced a 45% hike in mortality rates. While scientists aren’t exactly sure why this is true, there is a definitive link between a lack of social or family contact and an increased risk of mortality. In addition to the fact that social contact is good for a person’s mental health and wellbeing, regular social contact also ensures that friends or family members will notice new or worsening symptoms in a senior’s health, facilitating proper and timely medical care. Without regular social interaction, these symptoms often go unnoticed, and many seniors die as a result. Regular social contact helps seniors develop and maintain a positive outlook. When this social contact is cut off, though, many seniors become depressed or begin to develop depressive symptoms. Over time, this can contribute to intense sadness and a further aversion to social interaction. Because of this, it’s essential to be sure that seniors who live alone do not become isolated. One good way to do this is to connect seniors with community- or health-based resources, such as meals on wheels. Even though these visits may be brief, regular social interaction can work wonders toward helping seniors avoid depression and maintain a positive outlook. Despite the fact that loneliness and isolation can contribute to the development or worsening of dementia, 1 out of every seven seniors diagnosed with Alzheimer’s lives alone. Because isolation cuts down on the social interactions seniors need to keep their brains healthy, active, and sharp, it’s easy for older adults who live alone to experience pronounced cognitive decline at faster rates than their counterparts who live with family or spouses. When a senior lives alone, there’s nobody there on a regular basis to spot and stop potential senior abuse. Because of this, isolated seniors are more vulnerable to sexual, mental and physical abuse, and financial scams. Chronic conditions such as lung disease decreased mobility, and crippling arthritis are all associated with living alone. Because older persons who live alone are less likely to take part in community or social events, such as hikes, power walking, or dance classes, it’s easy for their health to decline and for chronic conditions to set in. 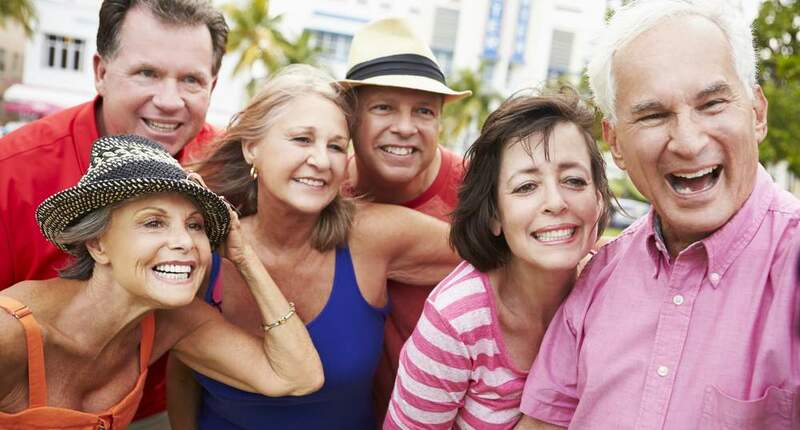 Because of this, seniors who want to maintain their health and avoid the dangerous effects of isolation will do well to get involved in social groups and take preventative actions to keep their physical health intact. When seniors are isolated, they see a directly related increase in their blood pressure. A 2010 study published in Psychology and Aging proved that these blood pressure increases were pervasive across all gender, race, and ethnicity groups. With this in mind, it’s clear that social interaction can benefit a senior’s mental wellbeing while also having a direct impact on his or her physical health. Simple services like meals on wheels can go a long way toward combating senior isolation. Routine, scheduled interactions give the senior something to look forward to while also ensuring that someone is checking in with the senior regularly to catch new or worsening symptoms or concerning conditions. Many friends and family members assume that there is nothing they can do to mitigate a senior’s isolation unless they live in the same area as the senior. Luckily, this is not true. For a senior who lives alone, a simple call from a friend or family member can go a long way toward decreasing isolation and supporting mental and emotional wellbeing. A senior whose spouse has just died will often isolate him or herself as a part of the grieving process. If the senior doesn’t step back out into the world, though, isolation can occur. Because of this, it’s essential to encourage the senior to take part in relevant social groups and gatherings. In addition to decreasing isolation, these groups can also help the senior learn new things, which contributes to mental health and reduces the likelihood of cognitive decline. While many seniors enjoy living alone, many feel isolated and forgotten. When left untreated, this isolation can easily manifest in the form of dangerous symptoms and deadly conditions. Luckily, friends and family members can help seniors avoid isolation by reaching out more often and connecting the senior with relevant services in his or her area. Aging doesn’t have to mean being lonely, and older persons who avoid senior isolation are better equipped to live out their years happy and healthy.